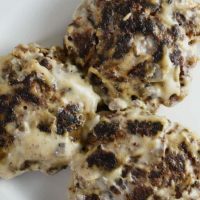 Ready in just about 35 minutes, if you are a fan of the frozen Salisbury steak then you will love this Homemade Salisbury Steak made easy with canned mushroom soup. If you make homemade meatloaf then you probably already have most of these ingredients on hand as the steps are very similar. Mix together a 1/4 of the can of soup (reserve the rest) with the ground beef, egg, breadcrumbs, and onion. 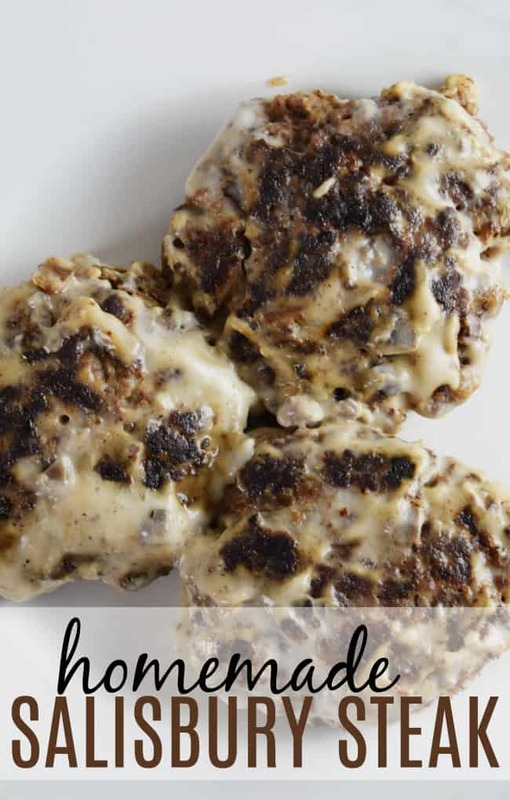 Shape into patties and brown in a skillet. Cover and allow the burgers to simmer with the remaining soup and water. Simmer for approximately 20 minutes or until heated through, stirring often. As you can tell I used cream of mushroom soup since that is what we had on hand but if you enjoy that brown gravy with your salisbury steak then I would recommend going with the golden mushroom soup. I find that the taste isn’t much different either way. Of course, you could also make your own homemade mushroom gravy but if your spouse is like mine then they aren’t the biggest fan of mushrooms. I love them but he could do without. I find that the canned soup has just enough (and small enough pieces) that he isn’t bothered by it. Juicy and tender beef steaks smothered in a generous slather of rich onion and mushroom gravy. Mix together 1/4 of the can of golden mushroom soup (reserve the rest) with the ground beef, egg, breadcrumbs, and onion. 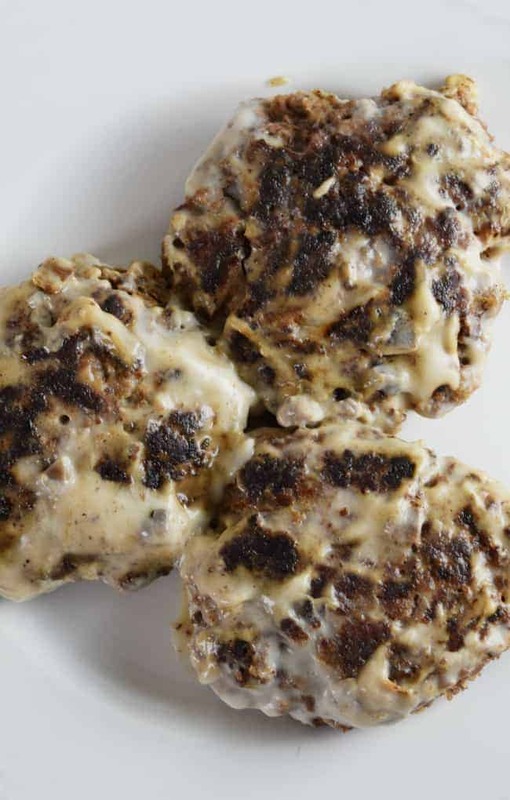 Shape into patties (makes approximately 4) and let brown in a skillet on medium. Once browned on the outside, pour off any fat. 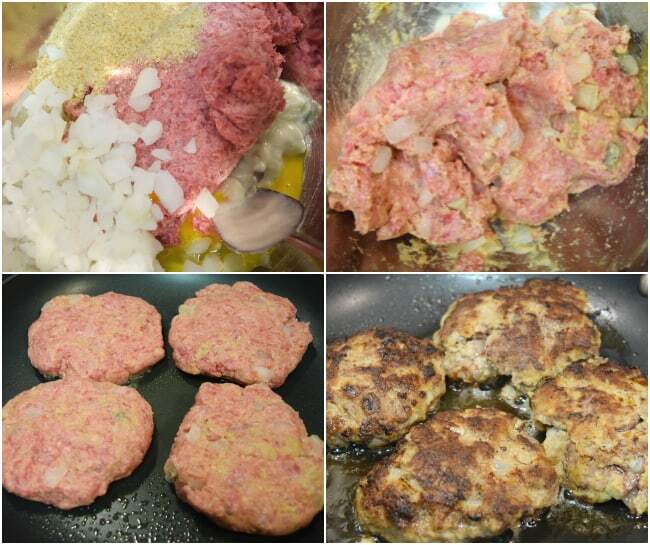 Cover and allow the burgers to simmer with the remaining soup and 1/3 cup of water. Please note these nutritional facts are approximate and calculated by Nutritionix.